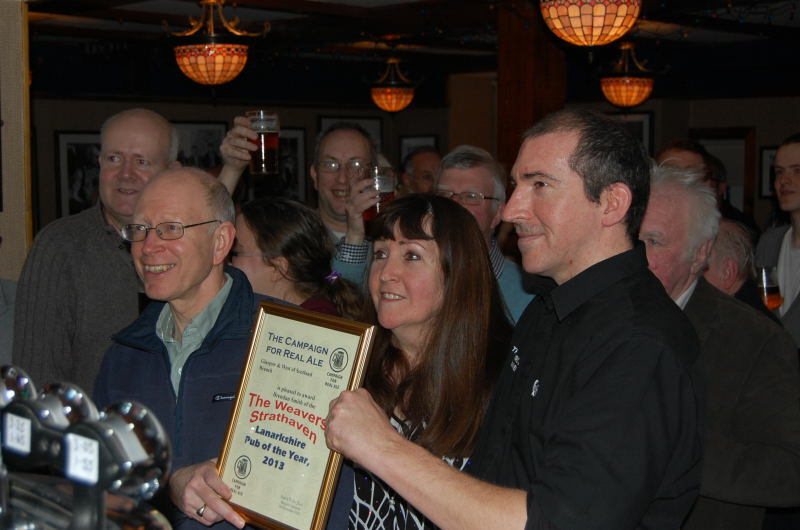 Around a dozen CAMRA members enjoyed a lively afternoon in the Weavers. 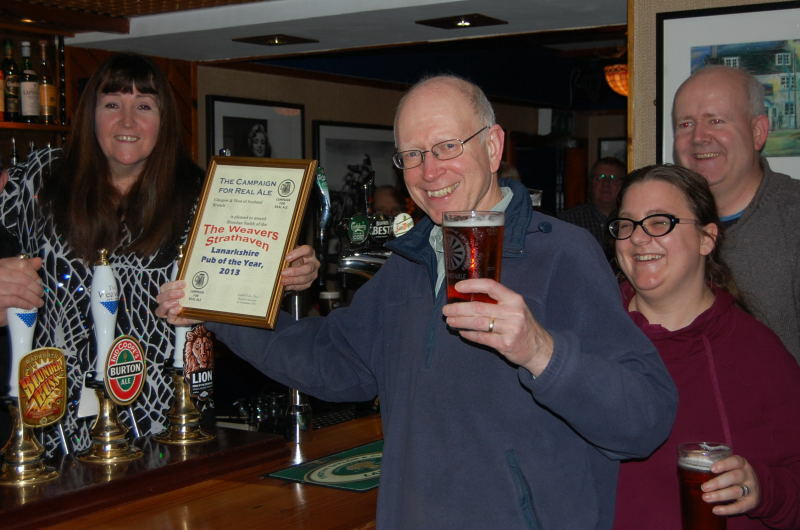 The pub was extremely busy as many of the regulars had comde to support the brother and sister team who have earned their third Lanarkshire pub of the year award. 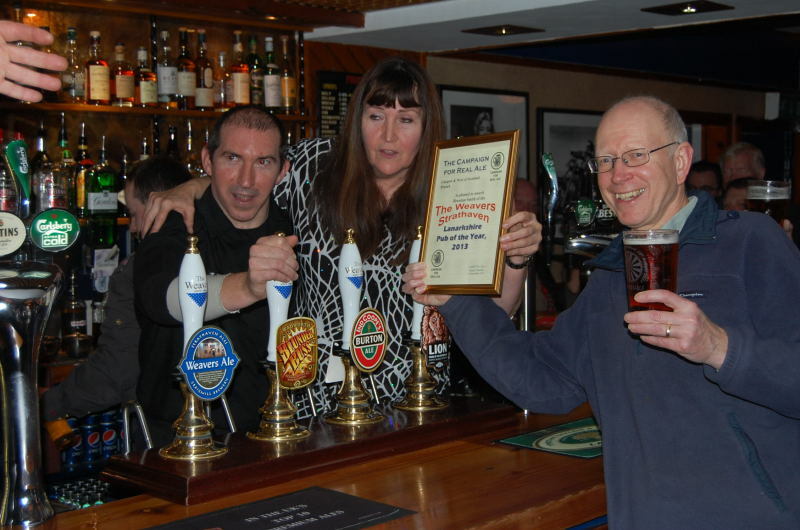 Branch Webmaster Tom Ord presents the Pub of the Year certificate to Maureen Campbell and Brendan Smith. 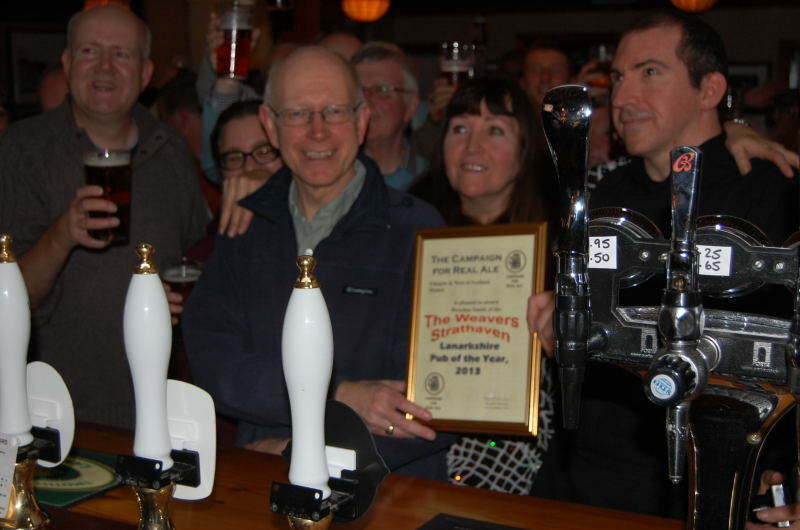 Different views of the presentation, showing many of the local CAMRA members towards the front of the crowd of customers.